Welcome Home our Veterans and show your appreciation for their service to our country. 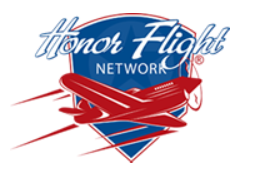 Tuesday, May 7, 2019 and Tuesday June 11, 2019 at 7:30 PM – 10 PM at St. Pete-Clearwater International Airport 14700 Terminal Blvd, Clearwater, Florida 33762. The Honor Flight mailbox needs to be filled again. Please help fill it up with thank you cards, letters and notes for the Veterans. Mail call is an important part of each Honor Flight Mission. It’s so easy to let our heroes know you appreciate them and all they have done for our country. Show your love and gratitude by helping fill up the mail call supply. Deadline is 2 weeks prior to each flight. Spread the word to your family and friends, schools, civic and church groups etc. Each Mission will include 75-80 Veterans, so that’s lots and lots of mail.